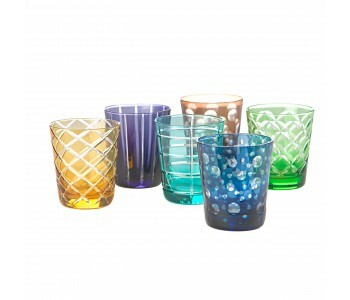 Each stylish water glass in this set of 6 has different pattern and color. Ideal on a beautifully laid table for a celebratory dinner. The matching wine glasses complete the whole. This set of water glasses comes in a beautiful gift box. A great gift for yourself or someone else! 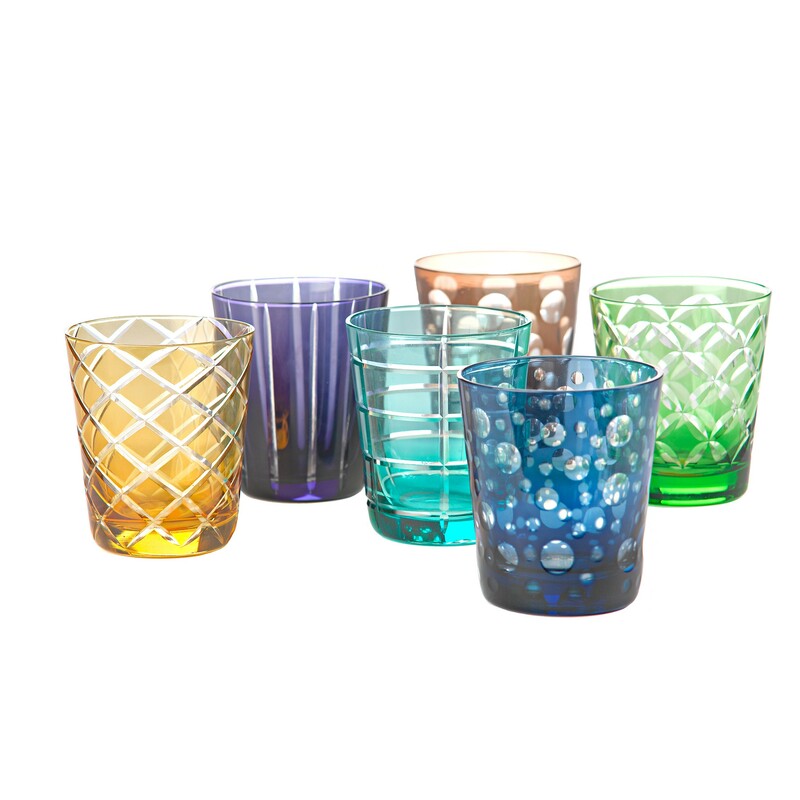 The 6 beautiful water glasses in this set each have a different color and design. 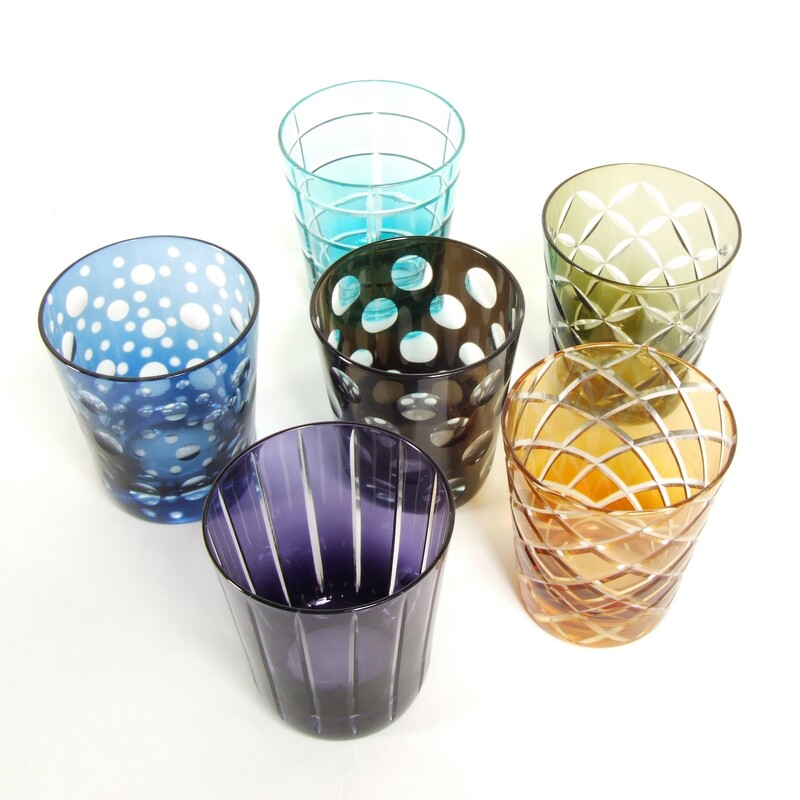 The shape and size (10 x 8.5 h x w) of each glass is the same, but each glass has a different pattern and atmospheric color. These robust water glasses were designed by Studio PP, Pols Potten's own design studio. True jewels on a beautifully decorated table. This set of water glasses comes in a beautiful gift box. Lovely to have, great go give! In addition to the water glasses, we also offer a matching set of 6 wine glasses of 17 cm high. Just like the water glasses, each wine glass has a different design and color. Why not combine these sets to make your table complete?